Actress, former Miss World and TV show star, Priyanka Chopra is ringing in her 35th birthday today. Priyanka would next be seen with Liam Hemsworth in 'Isn't It Romantic' and Salman Khan in the magnum opus 'Bharat.' Bharat would be Chopra's first Hindi film after Prakash Jha's social drama Jai Gangaajal, which released back in 2016. 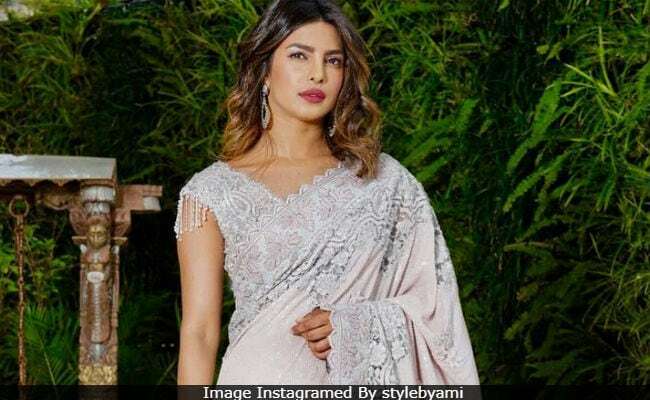 Priyanka who has registered herself as a successful Hindi film actress is emerging to be one of the most sought-after International celebrities too. Chopra, who shot to fame with ABC's crime thriller Quantico, has starred in many noted films like 'Baywatch' and 'A Kid Like Jake'. Priyanka who was named Miss World in the year 2000, debuted in the Hindi Film Industry in the year 2003 with Andaaz, through the years she rose to fame with her widely acclaimed performances in Aitraaz, Fashion, Kaminey, Barfi and Bajirao Mastani. In 2012, Priyanka also forayed into singing and released international singles 'In My City' and 'Exotic' and ever since then, there has just not been any looking back for our desi girl. In addition to being an international sensation, Priyanka Chopra is quite a star on social media too. From her dazzling award show appearances, exotic vacations or lazy Sundays, Priyanka keeps her fans posted with every minute detail of her life. And our favourite are her posts with sumptuous food. Priyanka Chopra has admitted on many occasions that she is a foodie and her social media account is a proof. In her appearance on The Jimmy Fallon Show, she defeated Jimmy Fallon in the 'hot wings challenge' by chomping on a whole plate of chicken wings with absolute ease! You may have not known this, but she was nicknamed Piggy Chops by her co-star and actor Abhishek Bachchan, because of her love for food and her large appetite. The true-blue Punjabi girl has never shied away from admitting that she is still a foodie at heart. Ghar ka khana, especially a hot parantha slathered with white butter is her favourite. Mutton biryani, fish curry and curd rice also top the list of her favourite foods. The actress is very fond of risotto. She has a weak spot for desserts and loves indulging in red velvet cake, hot chocolate fudge or jalebis. Alternating between projects home and abroad is no cake walk, but Priyanka tells us exactly how she is manages to strike a balance between doing her hair, make up, wardrobe and catching up with food. That's her enjoying the delicious and decadent In-N-Out burgers with friends. "Find yourself someone who looks at you the way I look at food!" she captions her image with some authentic Assamese delights. That's one lavish Middle-Eastern spread at Dubai! And we would be lying if we said we are not jealous. That’s her enjoying an indulgent Saturday meal with friends. This one's from one of Priyanka's cheat day. We are just baffled by the number of doughnuts she has her eyes set on. Last year, Priyanka also give us a glimpse of her mighty meal as she extended her Thanksgiving wishes to her fans. Priyanka's feast were all things lavish, delectable and oh-so drool-worthy. From turkey, to green beans, pudding, and Brussel sprouts, the special meal had it all. Priyanka herself took to kitchen to lend a helping hand to her friend, Mubina Rattonsey, as they both prepped up for the grand feast. Interestingly, Priyanka who has confessed in an interview with Anupama Chopra that she can barely get a cup of tea right, can be seen chopping the veggies. 'Lol! God bless this meal. @mubinarattonsey can't believe I'm chopping! #thanksgiving', she captioned the image. Shah Rukh Khan's 51st Birthday: What Does SRK Like to Eat? Easter Bunny 2017: Significance and Celebration! New Year 2018: Best Celebrity Food Moments of 2017 You Wouldn?t Want To Miss!